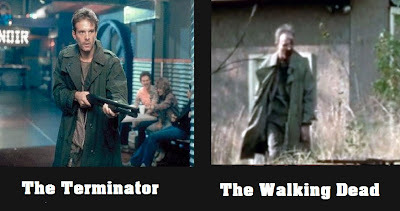 Greg Nicotero has been in the horror business for the better part of three decades. The guy loves the genre and knows it like the back of his hand. 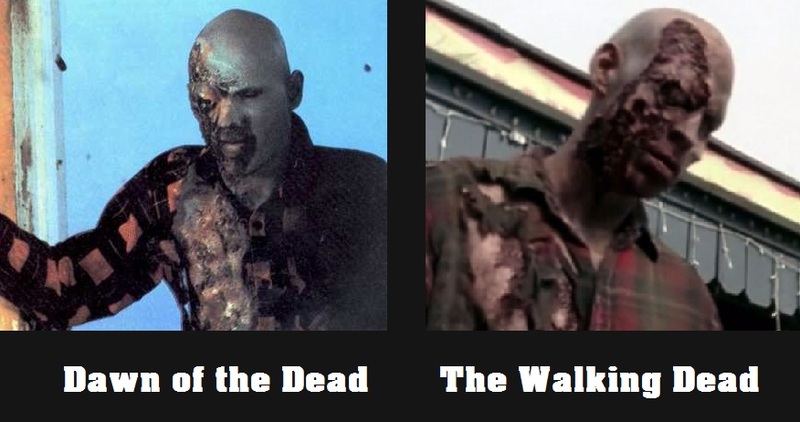 It was only natural for him to climb on board when The Walking Dead TV show came into fruition. Eventually his involvement with the FX would lead into him straight into the director's chair. 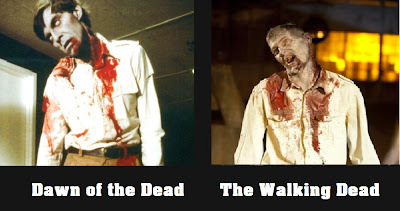 To date Nicotero has directed a handful of episodes, a few of which I'd consider the best of the series. So with a horror geek at the helm it's a given that we might see a handful of genre-related cameos. Now that season three has officially came to an end I did a bit of scrounging and managed to find a few cools ones which I'll be sharing tonight. First up is the one that was the most noticeable. 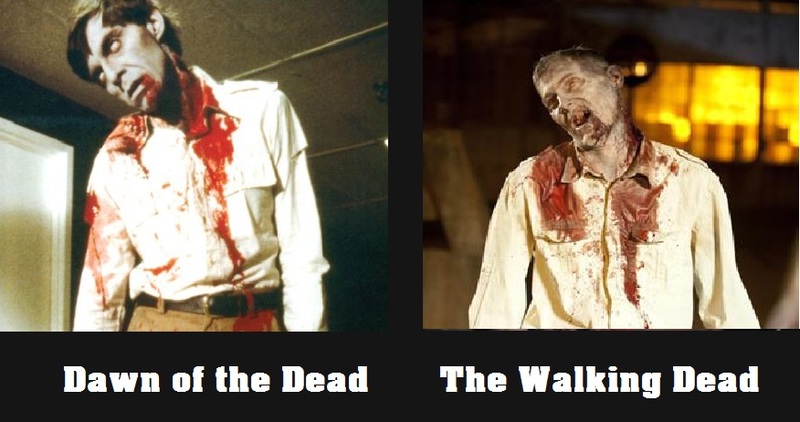 The "Airport Zombie" was one of the most memorable from George Romero's classic Dawn of the Dead. This one was a very obvious choice. The next one, also from Dawn, might have been a bit harder to spot. 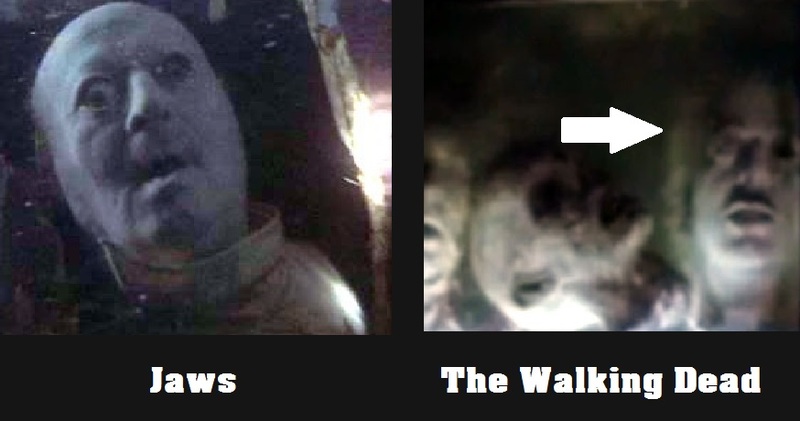 Flyboy made a small appearance in episode 5. There was also another small cameo in that episode, this one is a little less obvious but I still felt I should mention it. I might be in the wrong there, but there was a rumor of a Jaws reference in that episode and that's the closest thing I could find. 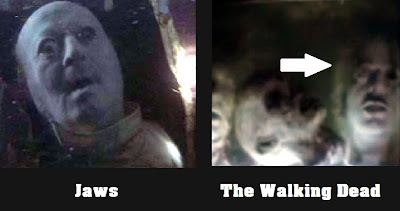 The last one is another that was a little less obvious, it was featured in the same episode as the airport zombie. I'm sure some would argue a few of these are just coincidences, and maybe so, but considering the people who were behind these episodes I can't help but think they were just having a bit of fun and paying homage to a few of their favorite films. Who knows? Maybe all will be revealed in a commentary or two on the future home video release. Diamond Select's Walking Dead Minimates Series 3! Then and now: Scream Queen edition!